I seem to have moved away from owning all the makeup palettes haha! 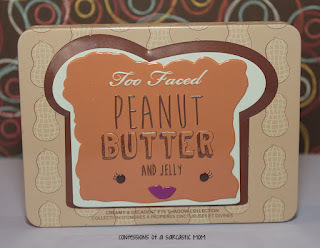 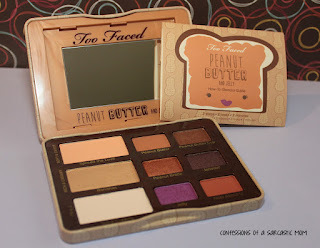 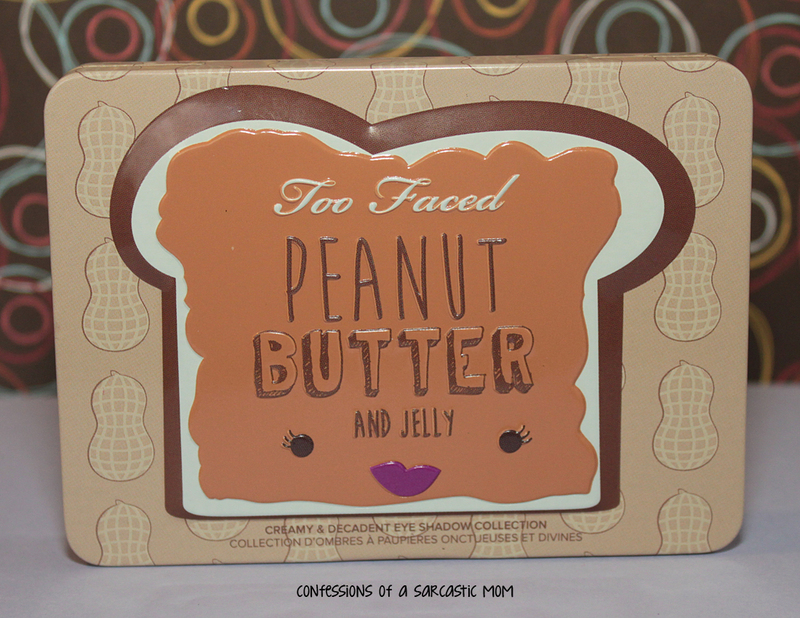 I have reduced my collection, and I'm starting to gravitate toward more higher end palettes - so it was a no-brainer that I must have the Too Faced Peanut Butter & Jelly Palette. 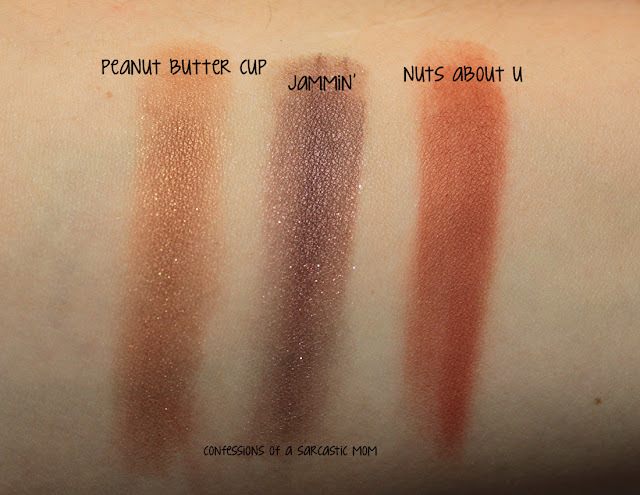 For the most part, the shades are really pigmented. 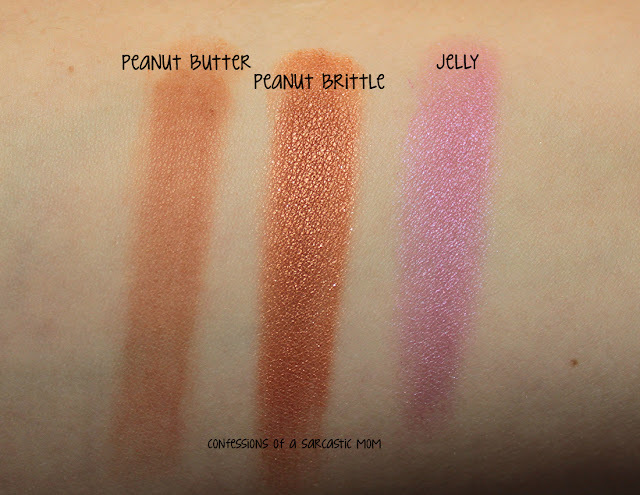 Extra Creamy barely shows up against my skin, but that makes it a great base. 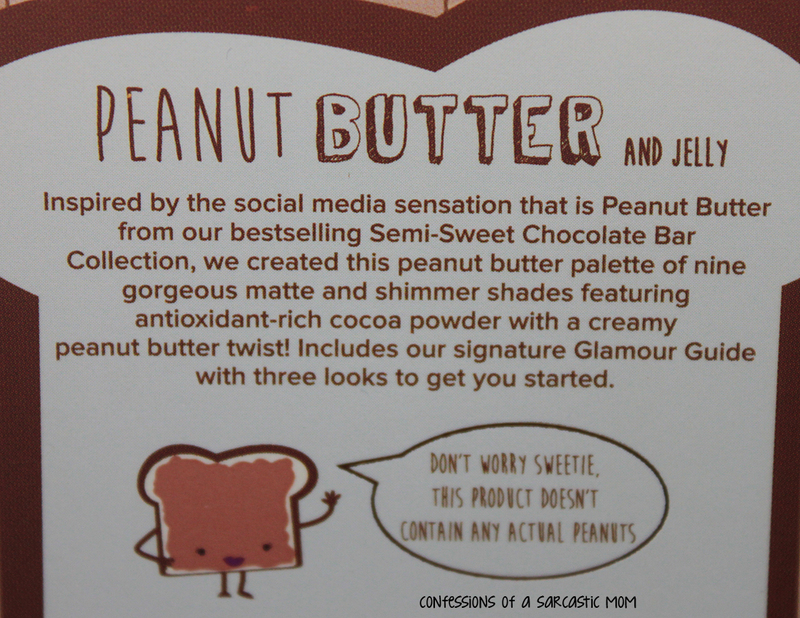 Jelly is very sheer, and so is Peanut Butter. 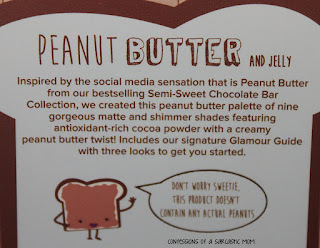 Both, I think, can be built up. 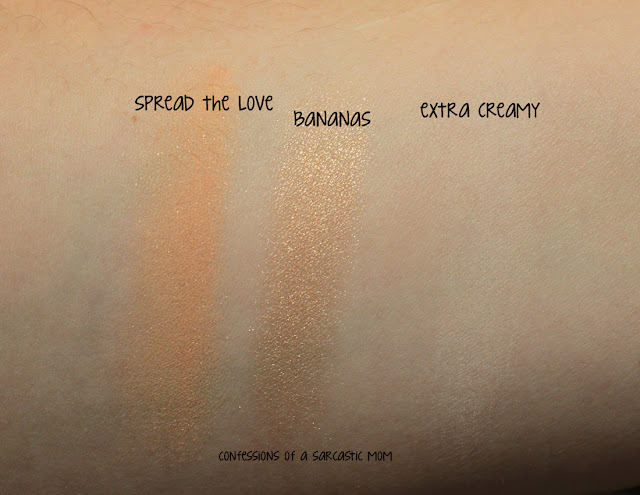 Extra Creamy would be the perfect base for that. 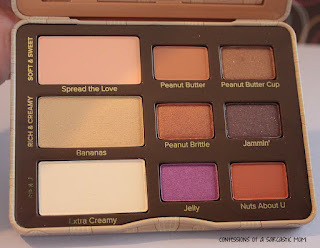 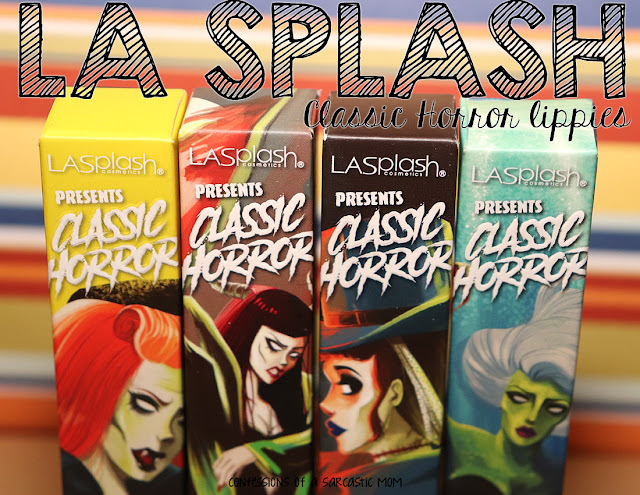 This palette is limited edition, so if you'd like to purchase it, you'd better get it done! I really like it, and every other palette I have from Too Faced. You can find this palette on the Too Faced website, Ulta and Amazon. 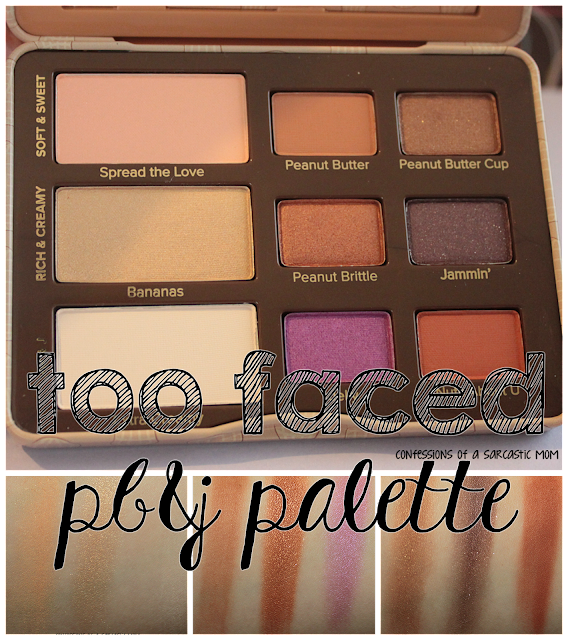 You can check out a few other Too Faced palettes in the Amazon affiliate links below.